Regular readers will know of my interest and desire to travel to the Norwegian-administered territory of Svalbard. The Arctic archipelago is home to a few thousand people and lies mid-way between continental Norway and the North Pole. 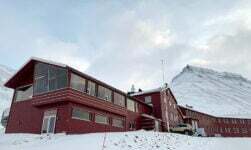 Svalbardposten (The Svalbard Post) is the world's northernmost newspaper, published weekly in a magazine format and also available via a digital subscription to readers all around the world. 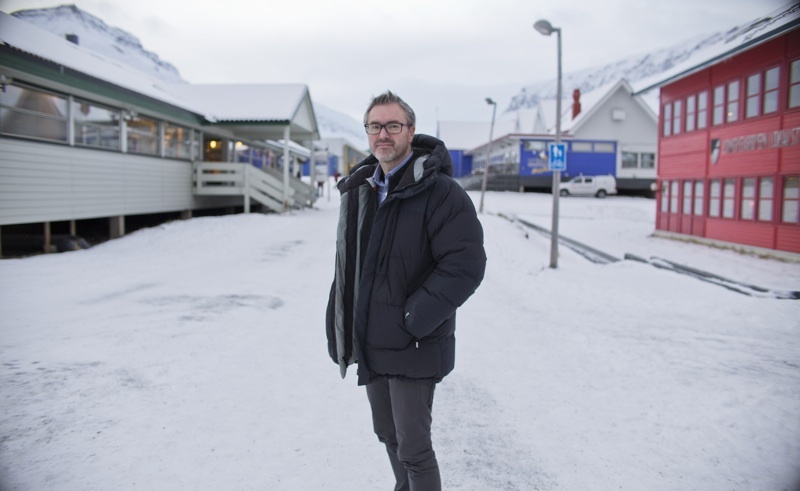 I was fortunate enough to speak to the editor of Svalbardposten, Eirik Palm, about living and working in such a remote environment. Quite nice, depending on how you look at it of course! It’s about two degrees (+2c) and raining. So it’s warmer there than Trondheim today! Anyway, how did you end up working as a journalist on Svalbard? I started as a journalist in 1993 and have since worked for NRK and at Finnmark Dagbladet. 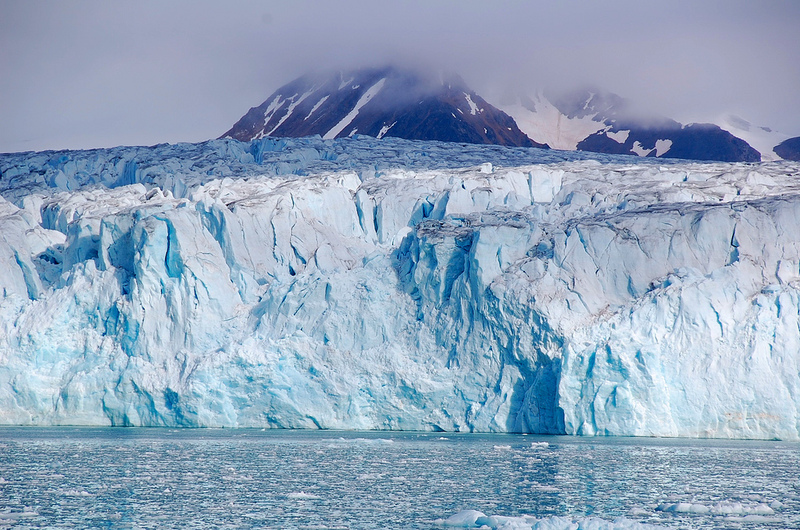 After five years there I made my dream move to Svalbard. When my kids were small I wanted to work as a journalist on Svalbard but due to our family situation that wasn't possible. I kept the dream alive so when I saw this job advertised, I spoke to my wife and she said “Yes, my dear!”, so I applied and started in October 2013. What are the benefits and drawbacks of living in such a remote place? It's mostly benefits. We have this tremendous nature, the high mountains and huge valleys really make you feel small. It's a harsh yet beautiful environment. It’s completely dark for 3 months of the year with just the moon providing light, it’s a beautiful time of year. Almost everybody is here not because we have to be, but because we want to be. Svalbard is a working community and the rules of the treaty state if you are unable to take care of yourself then you can’t stay here. This means we all know we will eventually return to the mainland, so everybody wants to make the most of their time here. One drawback for me is having my family back on the mainland. My wife works there but when she visits she stays for a few weeks at a time. It works well for us, and of course we speak every night on the phone! What sort of people live on Svalbard? 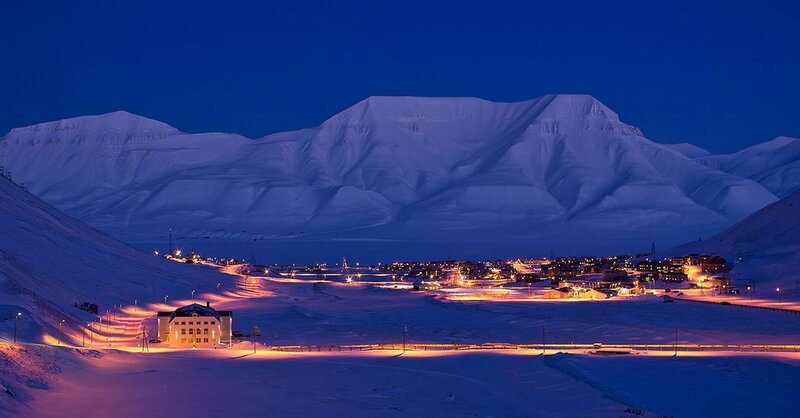 Coal mining is the biggest industry on Svalbard. Store Norske is the keystone of the community. 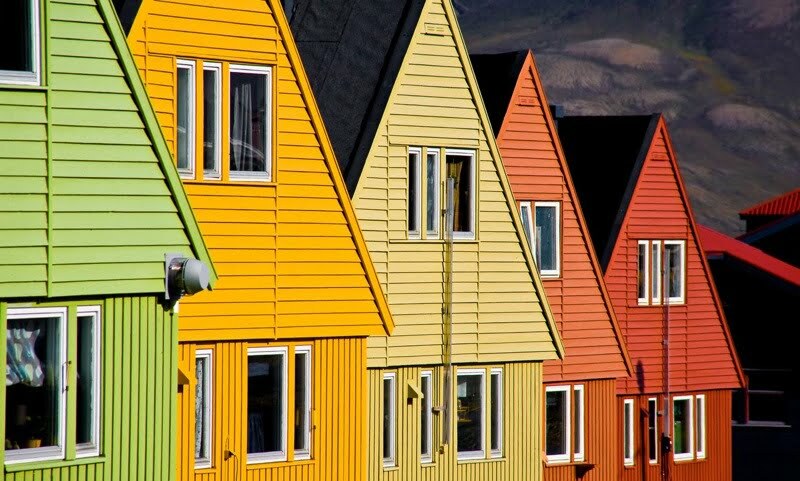 It’s been calculated that of the 2,100 people who live in Longyearbyen, 600 of those are working in jobs created directly or indirectly by Store Norske. Otherwise there are engineers, researchers, students, and of course the tourist industry. What's the biggest news story right now? The front page issue is about the financial crisis at Store Norkse. Recently the coal price dropped to its lowest level in over five years. The company had to let 100 employees go, and just last week asked the Government for a NOK 450m loan to ensure continued operation. If the Government says no, Store Norske will go bankrupt in a matter of months and that will be devastating for the community on Svalbard. I am confident we will see a solution. Anything else in the news? Climate change is a very real threat here and there is no doubt what is happening. Last year we went on a boat trip around Isfjorden and when we looked at our tracking data, it showed we had sailed over half-a-kilometer inside the glacier, and those maps are less than ten years old. A similar thing happened with a research vessel last summer around Nordaustlandet, the large island at the north-east of the archipelago. Researchers from the Norwegian Polar Institute are looking into the ice drifts at the moment, because the older ice is disappearing. There is more young ice, that is ice under one year old, but this doesn’t have the same ability to reflect the heat from the sun. There is no question it is getting warmer and having a real impact on life here. What are the challenges of journalism in such a remote location? First of all, living as part of a small isolated community, a journalist must force themselves to wear truly critical glasses. We are a part of to the community and meet all of our sources every day. Having said that, I don’t think it shouldn’t be a problem if you are doing a professional job. If you are open and honest with people, they will understand. Secondly, the big distances mean it’s not so easy to travel to cover news. The settlement of Ny-Ålesund is over 100km away and our only option is a very expensive flight, so quite often we hitch a ride in one of the Governor of Svalbard’s helicopters! You must have a good relationship with the Governor? We do have a good professional relationship, yes. We tell them it’s important for us to tell the news and they understand and help us out with answers and other information. If we ask to go with them by helicopter and they have the capacity, they willl help us out. Of course part of their work is accident response and search and rescue, as people do get into trouble in the sea or on glaciers. 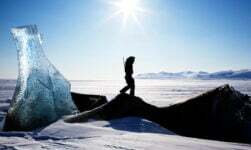 Just a few weeks ago a Polish researcher fell 25m into a glacier. When accidents occur they don’t have room for a journalist, but they still help us out with pictures and even sometimes video by fixing a GoPro to their helmets. Unlike most Norwegian newspapers, you produce some English language content. Why is that? We have readers all around the world. Despite a recent survey telling us that 90% of adults on Svalbard read our publication every week, most of our readers don’t actually live on Svalbard. But even for those that do, Svalbard is a multinational community where over 30% of the population comes from somewhere other than Norway. After the Norwegians, the next biggest nationality here is actually Thai. Although Norwegian is spoken on the streets of Svalbard, English is used within the research communities, so we run a lot of our research-based stories in English. We want to tell those stories to as wide an audience as possible, in the hope that some will subscribe. 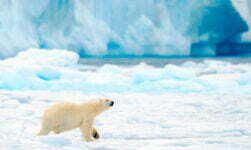 I’m planning a trip to Svalbard. What should I see? It depends when you decide to come, summer or winter. In my opinion the best time is April or early May. 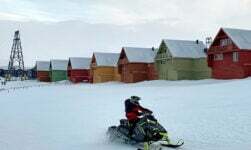 The sun is shining and you can travel by snowmobile in 24-hr daylight to Barentsburg for example, passing the beautiful views of the valleys and glaciers. In the summer you should visit Pyramiden by boat. 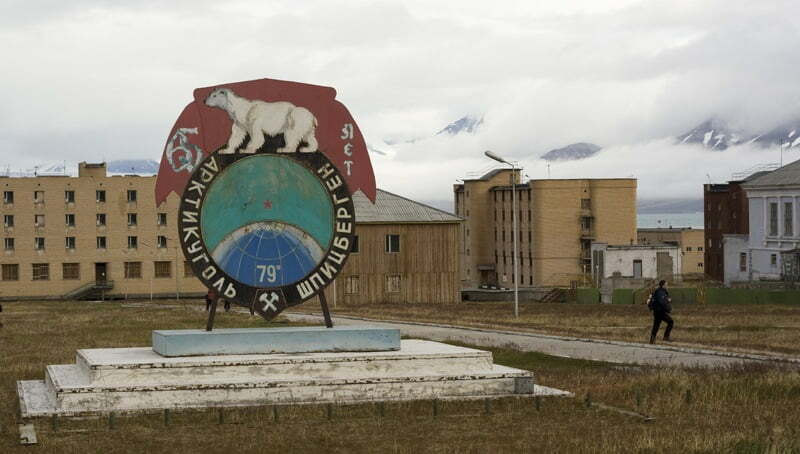 It’s a former Russian mining community, now a ghost town. Some years ago the place was abandoned. 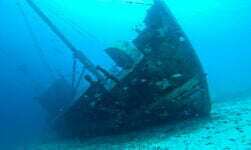 Now there is a very small but increasing tourist industry. It was seen as a superior society for Russia where everything was the best, so despite its location they had a swimming pool, libraries, and everything the people living there could wish for. It also has the northernmost Lenin statue in the world! 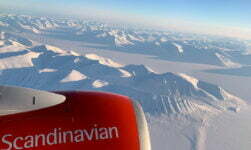 Nice article about Svalbard. I visited in 1984 and remember falling off the back of the snowscooter while on expedition over to the Russian town. I had to wait a long while before my ride realise I wasn’t there and came back for me !!! Thanks for this fascinating article. I just wondered if Eirik or David could possibly put me in touch with someone from the Thai community in Svalbard (who speaks English, ideally)? Thanks again!